The Halifax woodworker is getting more women into her chosen craft through education and example. Woodworker Veronica Post knows she's a woman in a male-dominated field, but doesn't let her gender overshadow her work. "I feel like it's always there," says Post. "I want to be talking about the furniture because that is what I'm passionate about and not have the attention be about something that really doesn't matter." Post studied cabinet-making at Rosemount Technology Centre in Montreal before working full-time at factories there. "A lot of women are afraid of learning trade because they think they are not going to be good in it," she says. "There's a kind of feeling that you have to better than a lot of the guys." Although she enjoyed her courses and has had good employers, Post could not escape sexism. One student even suggested she "stand there and look pretty." When she began applying for jobs, Post says she felt discouraged by her potential employers. "They always asked me if I'm sure this is what I wanted to do and that I should expect problems with my co-workers, as if I wouldn't know that I'll probably be one of the few women applying." Despite this, Post gained confidence in her work once she put her skills to the test. "A lot of the time I was better than some of the people I was working with," she says. "I was able to walk around the shop and do my job without any kind of fear that I was not as good as anybody else." 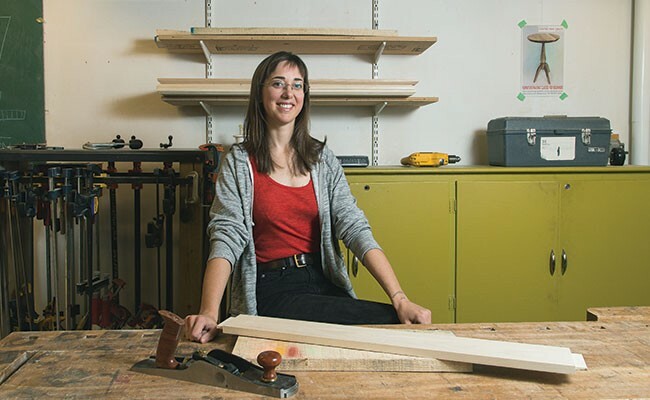 After moving back to Halifax in 2015, Post pitched her Women in Woodworking course to the Nova Scotia Centre for Craft and Design, a specific call-out for a lot of women. 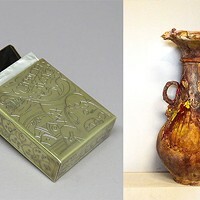 Throughout the course, students work with Post on finishing an individual project, like a console table or a salad server. "I had two female teachers during my course," says Post of her time in Montreal, "and it validated my being there. When they were teaching I felt like 'Yeah, I'm supposed to be here too.'" One of Post's students, Ayoka Junaid, says she could've taken a woodworking course awhile ago when it was offered by a male teacher, but didn't feel comfortable. "Throughout my education career I have never had instructors who looked like me as a person of colour," she says, "so when I at least have a female instructor, I feel I have some kind of connection." Junaid adds that there was "an openness and willingness to come as a whole person and not feel censored" in the all-female class. (The class will be on offer for NSCCD's winter semester.) Post is participating in an upcoming 2018 show at the Mary E. Black Gallery on contemporary furniture. She hopes her work, rather than her gender, will be the centre of attention. Post wants to "stretch into the realm of artistic expression," and make a statement about her distaste for IKEA's lack of sustainability. "I wanted to make furniture in the mid-century style, popular with IKEA," she says, "but it's all going to be made of recycled material that I found." This summer, Post made a sculpture of a wooden rocking horse for an art project, then donated it to the Wolfville Library. "It was a big deal for me to make a name for myself as an artist and woodworker," she says. "That was less about being a woman."